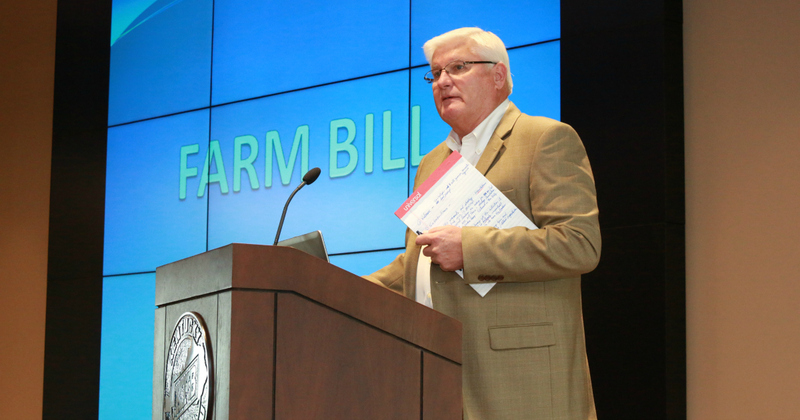 Title II of the Farm Bill is known as the Conservation Title and contains several programs that help farmers in their efforts to maintain good conservation practices. Agriculturalists fully realize the importance of taking care of their natural resources and being good stewards of the land is something understood universally. Kentucky has emerged as a leader in “preservation and protection” efforts which begin, for many, at a young age. Kentucky Farm Bureau (KFB) serves as the principle sponsor of the Jim Claypool Art and Conservation Writing contest hosted by the Kentucky Division of Conservation (KDC) for students from the elementary age through high school. The essay portion of the competition dates back to 1944 and each year, thousands of entries are received from students throughout the state. Having a population that has regard for and knowledge of conservation measures is essential to the success of related programs whether they are initiated at the local community level, through educational endeavors or through legislative efforts such as the Farm Bill. Pat Henderson, a KFB state director, former state president of the Kentucky Association of Conservation Districts and former executive board member of the National Association of Conservation Districts said people may think of conservation in different ways, but ultimately it means the same thing; taking care of the environment for future generations. David Rowlett, President of the Kentucky Association of Conservation Districts echoed those sentiments. “With limited land resources and a growing population, good sound conservation practices are needed to reduce our soil loss and to improve soil health to make our land more productive,” he said. Soil erosion, soil health and adequate water supplies normally top the list of conservation priorities for the farming community. Rowlett noted that by increasing organic matter in the soil, water can be retained for dryer periods and captures more carbon from the atmosphere. Henderson said good soil conservation generally means cleaner water supplies and he firmly believes that farmers are the best stewards of the soil in existence. “Something that helps in those efforts is the fact that Kentucky farmers have been very fortunate to have numerous programs and funding sources to allow the state to be a leader in cost share programs for conservation,” he said. One landmark event in Kentucky’s conservation efforts was the creation of the Agriculture Water Quality Authority, established by the General Assembly which provided farmers a mechanism for developing a conservation plan. By following that plan an operation was considered to be in good faith and if problems arose a first step would be to correct the problem through remediation rather than a fine. Another milestone event was the expansion of the Kentucky Soil Erosion and Water Quality Cost Share Program created during the time when a system to distribute tobacco settlement dollars was being established. This initiative provided initial funding in the amount of $9 million per year for various conservation-related cost share projects. Those tobacco settlement dollars created the Kentucky Agriculture Development Fund which has not only provided revenue for statewide initiatives but also a county cost share program (CAIP) which has helped with individual projects on the farm including many related to conservation. Additionally another important cost share program is Environmental Quality Incentives Program (EQIP) widely used by farmers all across Kentucky and provided with in the Conservation Title of the Farm Bill. Part of the history of conservation in Kentucky also relates to some of the first no-till production practices started in Christian County more than two decades. Since then, Kentucky has become known for its no-till or minimal-till production practices. Through these practices, less erosion has been the result which has led to cleaner water supplies. Henderson credits these programs and the effort provided by Kentucky Farm Bureau to support these initiatives as playing a pivotal role in establishing the Commonwealth as a national leader in conservation measures. Improving natural resources is the ultimate goal of all conservation efforts while improving net farm income is also paramount for farm families. Henderson said those two go hand in hand and makes the analogy that if you like to eat, then you should have an interest in farm conservation measures and the importance of good stewardship to insure the future of farming. Conservation Innovation Grants (CIG) are competitive grants that stimulate the development and adoption of innovative approaches and technologies for conservation on agricultural land. CIG uses Environmental Quality Incentives Program funds to award competitive grants to non-Federal governmental or non-governmental organizations, American Indian tribes or individuals. Producers involved in CIG must be EQIP-eligible. Conservation Stewardship Program (CSP) helps build on existing conservation efforts while strengthening operations. CSP is for working lands. It is the largest conservation program in the United States with 70 million acres of productive agricultural and forest land enrolled in CSP. Thousands of people that have made the choice to voluntarily enroll in the program because it helps them enhance natural resources and improve their business operation. The programs contained within Title II of the Farm Bill help farmers in their natural resources management efforts be it in creating conservation plans for their operations or in land preservation. 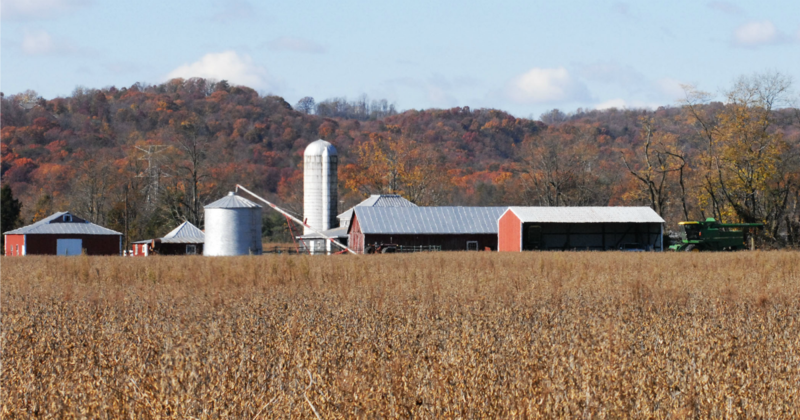 And while Kentucky has been fortunate enough to have been on the receiving end of support dollars both at the federal and state levels, continued support is essential to maintain natural resources for farm communities as well as their urban neighbors. Rowlett said money from the USDA for technical assistance is very much in need to complete conservation practices and to assist farmers with conservation plans. This one-on-one technical assistance is provided through a district conservationist and support staff on an individual basis.